Three-month Artist-run including installations, exhibitions and performances. Artists including Jane Richens, Angelina Martinez, Wayne Smith, John Stafford, Gary Warner, Krowd Kontrol Kaos, Peter Callas, Linda Wallace, Hiram To, Jeanelle Hurst, Joseph O’Connor, David Stafford, Geoffrey Karl Schmidt, Paul Andrew, Michael Hutak, Michelle Andringa, Richard Grayson, George Pavlu, Ross Harley, John Dean, Kristos Nizamis, Donald Holt, Scott Clifford, Ravi Sidhu, Diena Georgetti and many more. Shop 3/4, City Plaza Shopping Centre, Cnr George and Adelaide Streets, Brisbane. 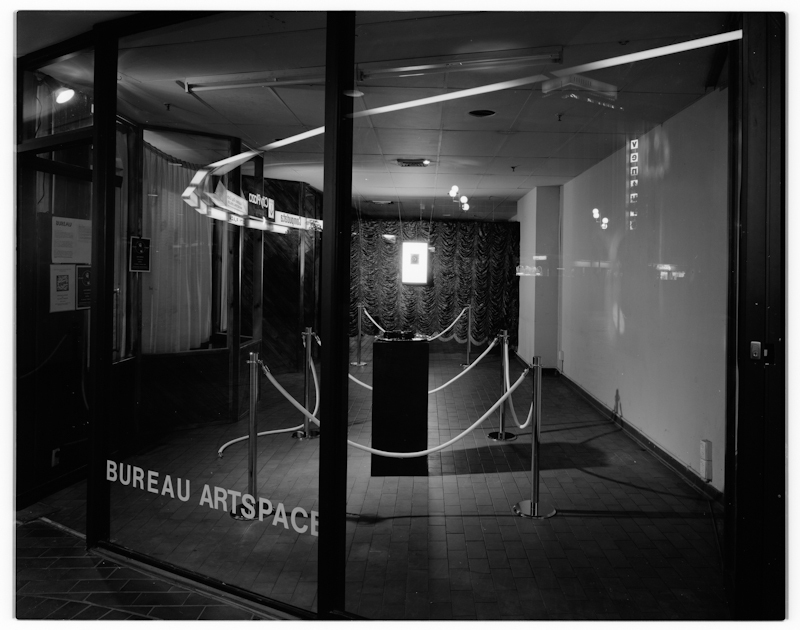 Short-term gallery opportunity in building designated for demolition and facilitated by the Queensland Artworker’s Alliance and then co-ordinator Lindy Johnson.